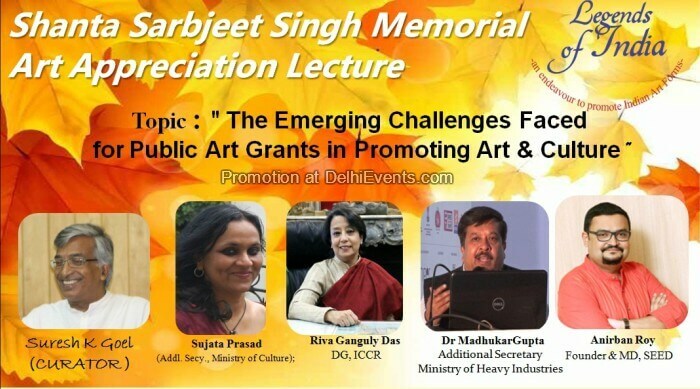 Event Description : TALK "The Emerging Challenges Faced for Public Art Grants in Promoting Art & Culture"
Shanta Sarbjit Singh Memorial Art Appreciation Series. Panellists: Sujata Prasad (Addl. Secy., Ministry of Culture); Riva Ganguly Das (DG, ICCR); Anirban Roy (Founder & MD, SEED). Curated by Suresh K. Goel.